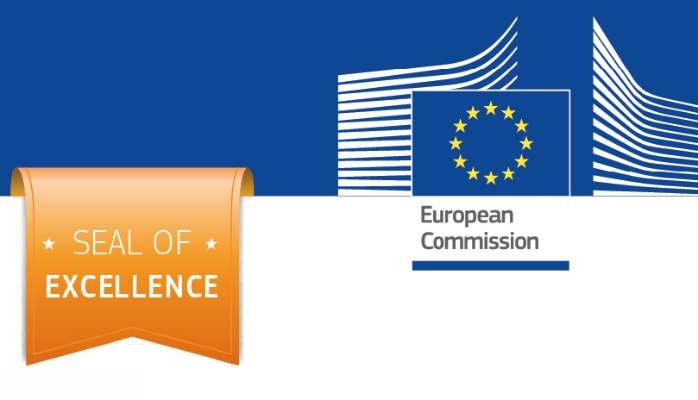 The Seal of Excellence – Аспектум. 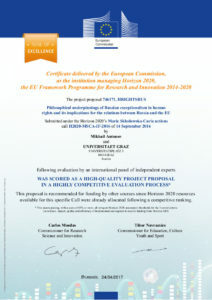 The “Philosophical underpinnings of Russian exceptionalism in human rights and its implications for the relations between Russia and the EU” research project was awarded a Seal of Excellence – a prestigious European Commission award on 24 April 2017. The project was led by “Aspectum.” Partner Mikhail Antonov, together with the colleagues from University of Graz Law School (Graz, Austria).